Color: Yellow , white , black. We are India’s largest producer and exporter of Facing bricks / Cladding Bricks and all Terracotta Products. We manufacture bricks as per European Architecture which are latest in India. Our Bricks comes with Rustic / Smooth finish with 100+ color options and textures. 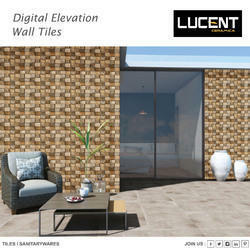 Being a quality-centric organization of this industry, we are engaged in providing a wide array of Elevation Wall Tiles. weight kg / pc. :0. 325. These Elevation Tiles are used as an alternative for exposed brick work masonary and to give brick like natural texture to the walls. Offered wall tiles are available in numerous finishes and are processed under the strict observance of our employees incorporating latest technology. Apart from this, offered wall tiles are hugely cherished among our dedicated patrons for being supreme in quality. We are engaged in offering a quality approved range of Elevation Tiles. The range of Designer Elevation Tiles manufactured and supplied by us enhances the decor of homes and offices. These tiles are extensively used by architects and designers across the country to enhance both interiors and exteriors of establishments. Our qualitative range of Designer Elevation Tiles and its timely delivery have enabled us to earn trust and confidence of our clients. We are involved in offering excellent quality Elevation Tiles to our most valued clients. These are developed using the skills and experience of our dedicated team that makes these acknowledged for their elegant designs and fine finish. 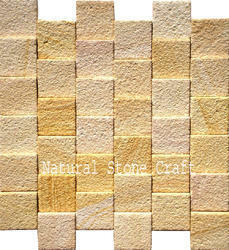 Elevation Tiles are known for high strength, smooth and attractive design.